If you have any questions, feedback or would just like to get in touch with our friendly staff, contact details and opening times can be found below. Alternatively, leave us a message using the contact form. * Outside office hours, After sales calls are routed to a call handling service. We will reply to these on the next working day. At Viessmann, we don’t just pride ourselves in manufacturing cutting edge boilers and heating systems; we also enjoy a reputation for world class customer service. 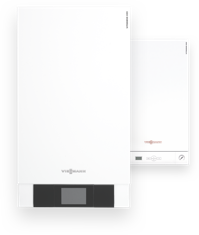 If you have any questions or feedback about your existing viessmann technology or would like to learn more about how your home could benefit from one or more of our solutions, our Telford based team would love to hear from you. We’ll always endeavour to respond to you as quickly and appropriately as possible. If you are an existing customer and wish to request operating instructions for your Viessmann appliance, you may find it quicker to go directly to our online document database, where you can find and download the documentation you need free of charge.